Mother’s Day is the time to recognize and feel gratitude towards all the women in our lives who raised us and continue to love us. Mothers are the living archetypes of the Divine Mother, Parvati. 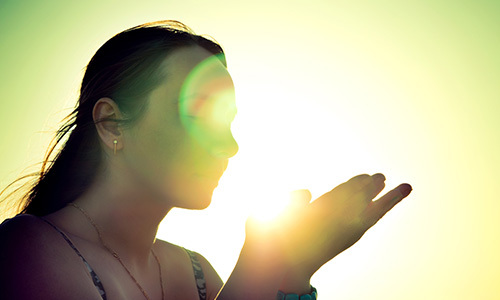 Most of the problems of the world are due to the willful downplaying of the feminine energy. The feminine represents pure, unconditional love. Mothers are guardian angels created by God to take care of you and shower her unconditional love upon you. She is the embodiment of love, mercy, beauty, intelligence, and compassion. Express your love and respect towards your Mother by being a part of AstroVed’s special ceremonies on this Mother’s day. 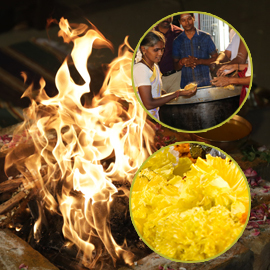 Honor and thank your Mother on this particular day by sponsoring food and clothes to the elderly and participating in the holy fire ritual and unique flower offering at a Kerala Powerspot in her name. Goddess Parvati, the consort of Lord Shiva is regarded as the Universal Mother. She treats every being like her child and protects them. She is the Shakti or the power that flows within everything on earth. She is the divine feminine energy, who can build happiness and harmony in the whole universe. 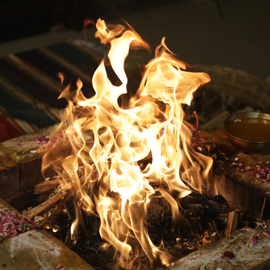 Gift your mother or motherly figure a sacred fire ceremony invoking the divine blessings of Parvati for her sound health, longevity, and happiness on her special day. On this day, the Moon will be in sign Pisces transiting the star Revati, ruled by Mercury. Mother’s day is a right day to seek forgiveness from your Mother for all the hurts and strengthen your love and emotional bonding with her. The star energy of the day carries the Power to nourish, protect and foster, thus making the day optimal to be thankful for all the sacrifices your Mother has done. As the Moon is in the 12th house of the natural zodiac, it is the best day to do Tarpanam to deceased mother or motherly person. Revati, the star of wealth can help you attract abundance by conveying gratitude towards your mother and motherly persons in your family who had helped you grow as a person who you are today. Express your love and respect towards your Mother by being a part of AstroVed’s special ceremonies on this Mother’s day. Participate in the Mother’s day rituals to get divine blessings for the overall health, well-being and longevity of your mother. A group fire lab to Goddess Parvati will be performed at the AstroVed Fire lab and remedy center on May 13, 2018 (IST). 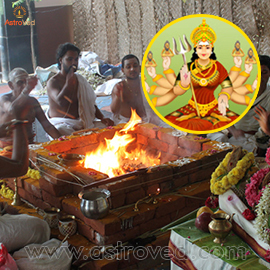 This fire ritual will help to receive the blessings of the Mother Goddess. 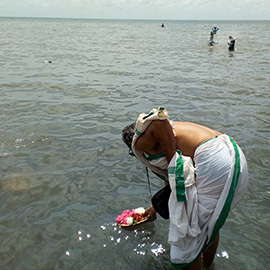 A special flower offering will also be performed on this day at Kerala Powerspot. Donate food and clothes to spread love and promote well-being amongst humanity. When you participate for promotion of greater causes, you are no more stuck with lesser mindset. The act of giving others and helping people in appropriate times has always been considered to great acts of benevolence in all religions of the world. Book your individual Ayush Homa on Mother’s Day to invoke the blessings of Ayur Devata, who can bestow your Mother with longevity, good health and relief from mental traumas. Ayur Devata is the Deity of Life Energy, infusing us with the capability to handle our responsibilities on a spiritual and material level. 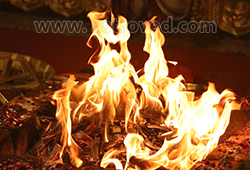 Book your individual Mrityunjaya Homa on Mother’s Day to invoke the blessings of Mrityunjaya, who can safeguard your Mother from all dangers and ensure her longevity. The vibrations from the Fire Lab pervade your Mother’s surroundings and offer a shield against sickness and disease. The spirits of the ancestors often need nourishment and support while navigating non-physical dimensions. Dr. Pillai recommends that everyone perform Tarpanam on an ongoing basis, without fail. It is the most essential ritual to resolve every kind of problem, and it is the greatest act you can do to help liberate the souls of your ancestors. An ancestor ritual will be performed for those who want to honor the soul of their departed mother on May 13, 2018 (IST). Please provide your Mother’s Name and Birth star while ordering for this service. Please Note: We will not be shipping any Prasad after the Tarpanam ritual, as it is generally considered inauspicious to possess the Prasad.